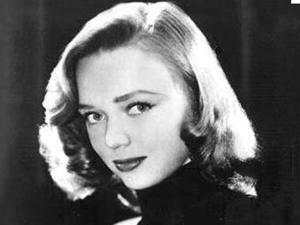 Truly sad news has reached us this morning, coming out of Hollywood, with reports that Attack Of The 50-Foot Woman star Yvette Vickers has been found dead at her home. While the passing of anybody is sad anyway, the truly sad part of this story is that Vickers’ body was badly mummified, with authorities reporting that she’d been deceased for anywhere up to a year, before her body was found. Just awful. Vickers played the lead role of “the woman” in 50-Foot Woman, as well as minor roles in Sunset Boulevarde (1950) and Attack Of The Giant Leeches. She appeared in a small role in Paul Newman’s Hud, and her final film was 1991’s Evil Spirits. Vickers was born in 1936, meaning that today she would have been 75. Star Wars On BluRay Announcement – Details! That's so sad. How is it possible no one noticed? Poor woman. Yes, very sad indeed. Does make you wonder how many of these "former stars now paupers" stories we don't get to hear about. My thoughts are that it'd be more common than we think.